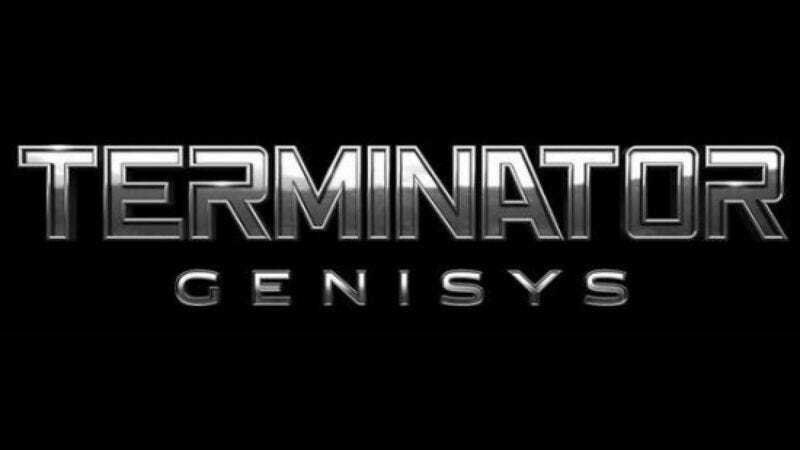 Offering a glimpse of the terrors to come, when all that man holds dear is crushed beneath the relentless machines of branding, the title of the fifth Terminator film has been revealed as Terminator Genisys. Previously referred to as Terminator Genesis by naïve humans clinging fruitlessly to the past, Terminator Genisys and its July 1, 2015 release date were announced by someone well versed in restructuring the English language: Arnold Schwarzenegger. The star—who has similarly, previously promised to upend your beliefs about whether robots can get wrinkles—Instagrammed a photo of himself sitting in a chair emblazoned with the new title and before a screen that also seems to bear the “Genisys” name. He also said both “Hasta la vista, baby” and “I’ll be back” already, but presumably there are still other reasons to see the movie. While most believed Terminator Genesis would finally explore the story of when God created killer cyborgs, the futuristic wordplay of Terminator Genisys seems to hint at some sort of corporation, computer system, or laboratory program instead, confirming yet again that Hollywood does not respect the faith-driven audience. No word on what “Genisys” might be yet, but we’ll just assume that this seeming coincidence—along with the fact that the film also stars Jason Clarke—means Terminator will have a Planet Of The Apes crossover, suggesting that both our ape and robot overlords share some blame for the destruction of our language.